Join Dr. Wayne W. Dyer on the breathtaking island of Maui for a powerful event that could change your life. 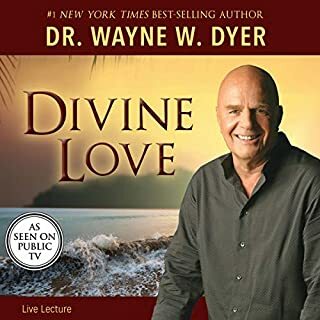 In this lecture, Wayne will help you ease the conflicting thoughts in your mind and wake up to the power of Divine Love. 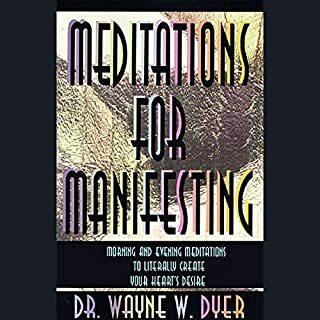 He will teach you how to feel your own connection to your purpose - your highest self. You came from love, and you will return in that same perfect love. And you will learn to live from this love perspective on a daily basis - thus allowing you to tap into your own divinity and experience firsthand the inner peace that is yours. 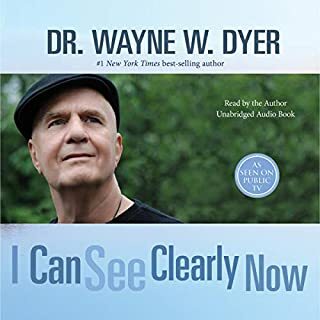 In this inspirational work, best-selling author and lecturer Wayne W. Dyer shows you how to restore balance in your life by offering nine principles for realigning your thoughts so that they correspond to your highest desires. Imagine a balance scale with one end weighted down to the ground, and the other end—featuring the objects of your desires—sticking up precariously in the air. This scale is a measurement of your thoughts. Worth it for the laughing and sound effects alone! Sold as something else ! Taped on location in Hawaii, this audio program provides a rare opportunity to listen in on a profoundly moving dialogue between two of the three “most spiritually influential people alive" (Watkins Magazine). 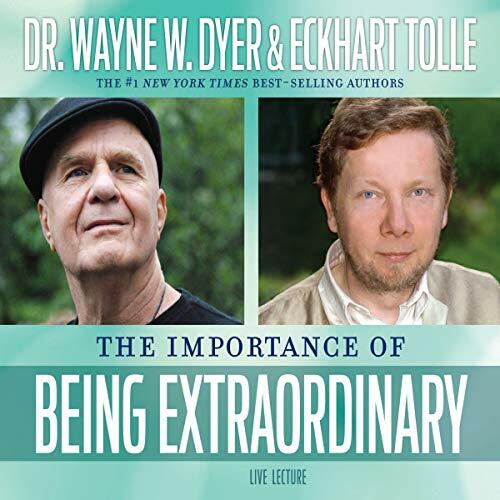 Dr. Wayne W. Dyer and Eckhart Tolle delve into everything from ancient spiritual texts to contemporary pop culture as they tackle questions we all wrestle with, such as Who am I? What is real? and What is the meaning of life? Yet even as they discuss weighty topics such as the economy and addiction, the mood remains graceful, loving, and even humorous. 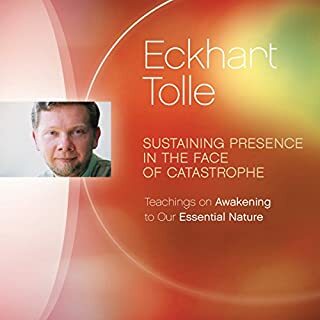 Through their combined wisdom and perception, Wayne and Eckhart bring you inspired lessons for an exhilarating spiritual awakening. 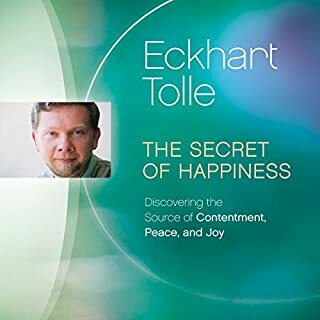 This, according to Eckhart, “consists of relinquishing identification with the conditioned mind through the cultivation of awareness.”Although these lessons are full of rich, philosophical insight, they are also very practical and can easily be applied to the individual listener and the world at large. For, as Wayne explains, when we “create a world of extraordinary people who look beyond what they were programmed to become, we impact the entire consciousness of this planet." the idea in the program goes right along with what I believe as a quaker- "there is that of God in every person". They really do a good gob of explaining this concept and uplifting your spirit. Having these 2 spiritual teachers together was truly a gift to me today. I am ready to flow with life and have acceptance for the things that come before me. I feel so much joy that I can be myself and now that importance. thank you. This offers a firsthand experience of an exchange between two extraordinary beings that I'm blessed to have had teaching in my lifetime. Improved my day and life exponentially. Great points clarification to know. loved it. it helps me to mejor my self to where i am in comparison to these 2 great spiritual teachers. It helps me to see that i am almost there also. I enjoyed what I could hear. The recording was not done well and does not adjust for when either speaker lowers his voice. 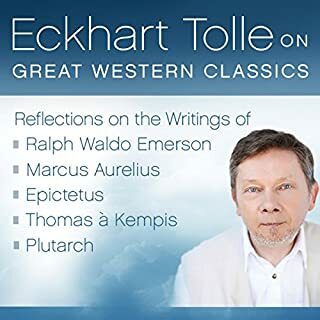 I listen to audio books while driving and I eventually gave up trying to listen to this one because even with the volume turned all the way up I was frequently missing portions and then being deafened five second later. a great amalgamationtion of the philosophy of both authors. a tremendous source of inspiration! listening to these two great teachers really puts the ego in the backseat and lets the heart shine. Thank you Wayne in heaven. Thank you Eckhatt. You've saved my life. if you're reading this review buy the audiobook and tell everyone you know and love. Extraordinary work by both men! Both men spoke true meaning about what makes a person's life have an extraordinary life experiences. Real life happiness is in what cannot be felt or touched. This brings a comfort to any soul when they understanding happiness is inside a human soul to live in the dream given to them by their Creator and Maker of their life. Wonderful humor enjoyed this very much & lots of take aways! Best one for me is be detached from any outcome & live the life you have imagined. This is so awesome! Loved it and worth every penny. A must buy, EPIC very EPIC. Two of the most inspirational people on the planet. Tolle has an incredible ability to make sense of challenging questions! Fabulous and raw conversation between two highly spiritual beings who explain how to deal with some everyday issues we face. Loved it. I never get tired of listening to these wise men who leave me investigating my own life and purpose. Thank you.